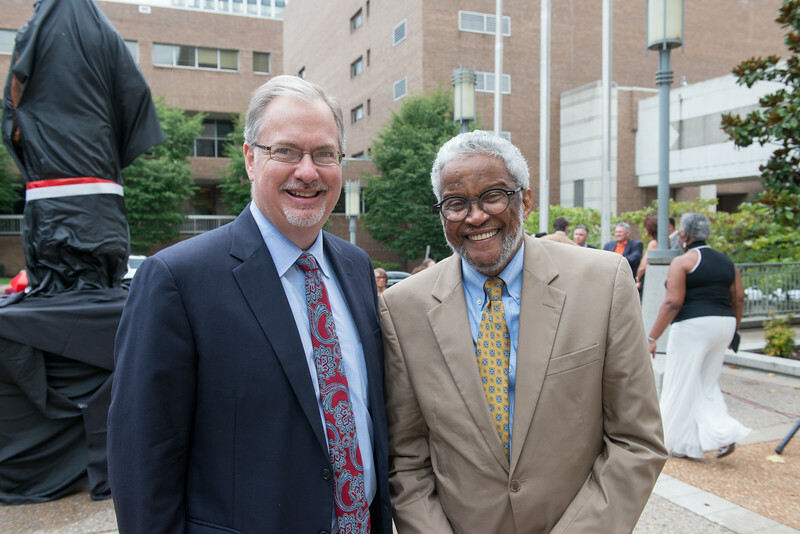 John J. Hollins, Jr. and Court of Appeals Judge Richard Dinkins--Unveiling Ceremony of Justice A. A. Birch, Jr. Statue, entrance court , Justice A. A. Birch Building, Nashville, TN, August 27, 2016.